There is nothing like coming home to a beautiful home and having such a grand entry just makes it even better. 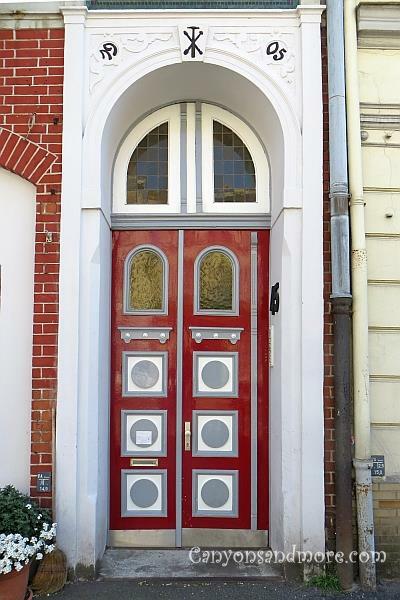 When visiting many cities and towns of the northern states of Germany such as Schleswig-Holstein, Lower Saxony and Mecklenburg-Vorpommern you will find many homes and buildings with beautiful doorways that add so much charm and personality to them. Below you will find a small selection of such doorways that were seen while visiting different locations of these states. 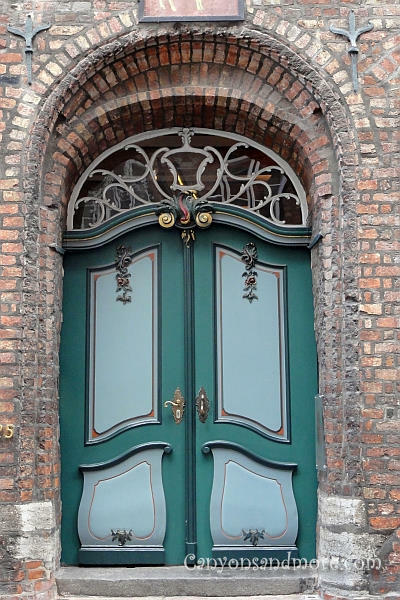 The fancy door in the image above was seen in the city of Lübeck in the state of Schleswig-Holstein. It really bekons to be looked at. 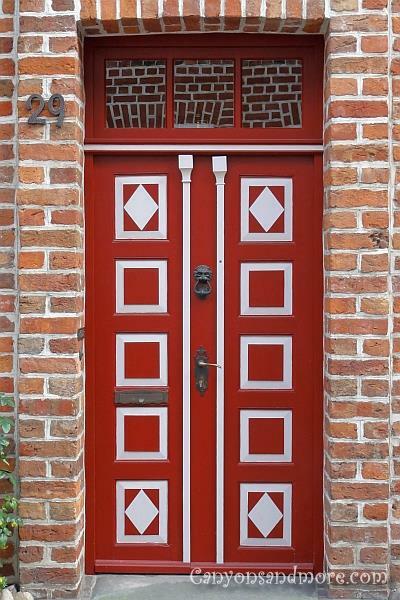 This gorgeous red door with the white trim was seen in the city of Lüneburg in the state of Lower Saxony. A plain door is not enough. 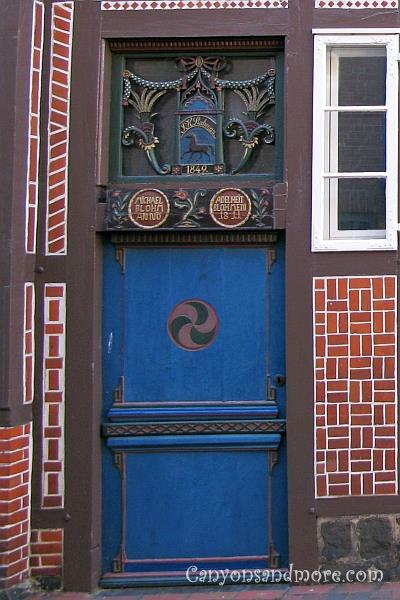 So much love and detail were given to this wooden door seen also in the city of Lüneburg. If you ever get the chance to visit the city of Lüneburg, you will be in for a treat when it comes to decorative entryways. 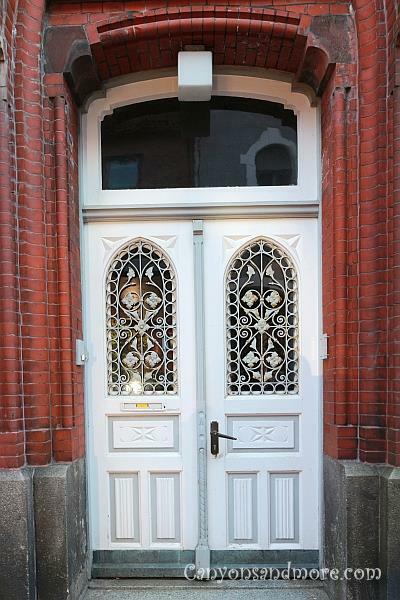 This 19th century entry in Buxtehude in the state of Lower Saxony is so charming with its rustical carvings over the door. 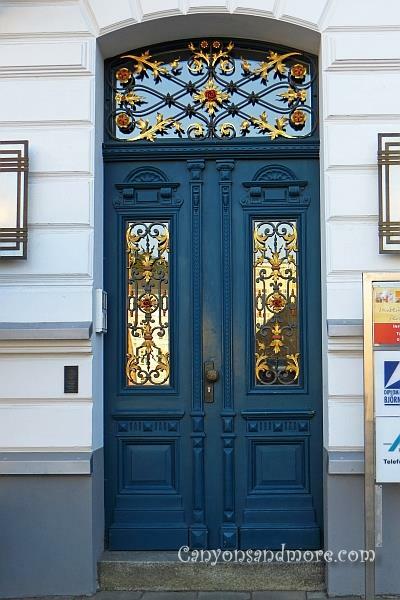 Another handsome looking door adoring a home in the city of Lübeck. 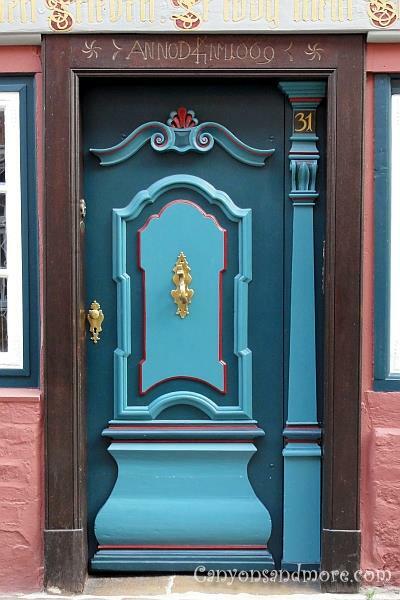 This gorgeous door was seen in the city of Stralsund in the state of Mecklenburg-Vorpommern. Red brick is used quite common for the homes in the northern states of Germany. 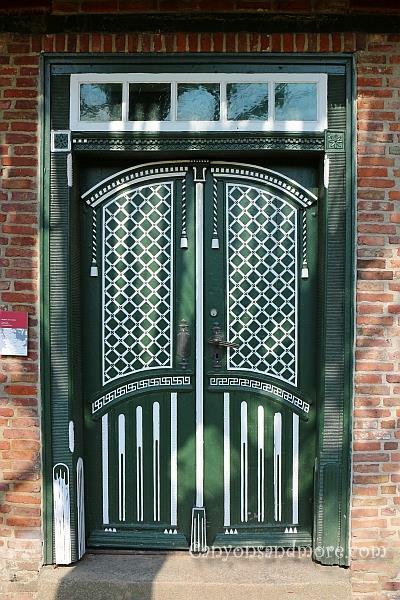 And it is not rare to find doors like this one on even the most simple of homes. 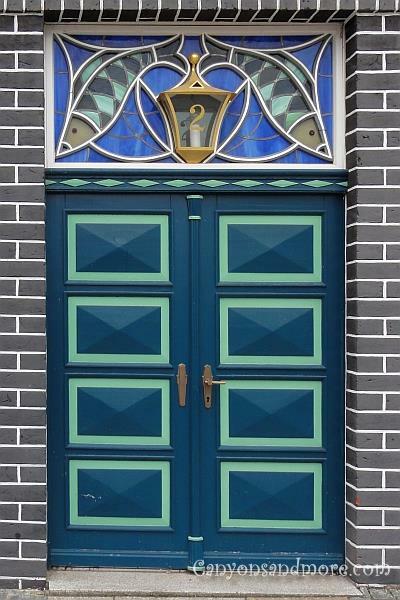 This is a historical door found in Molfsee in the state of Schleswig-Holstein. 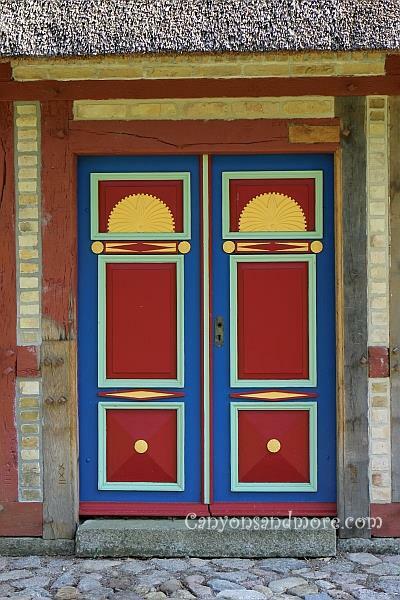 This is another historical wooden door in Molfsee. The colors are so cheerful and inviting.